This is Autumn glory at its best. 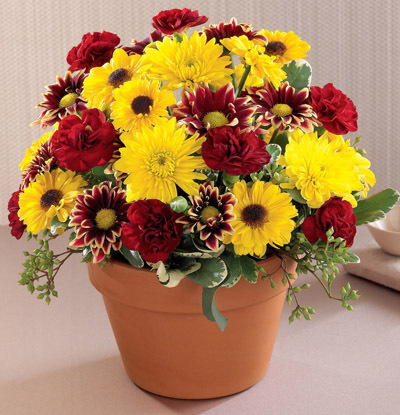 Our terra cotta pot is filled with the colors and flowers of the season. Pompons abound - bright yellow cushion and golden yellow daisy. Burgundy mini carnations and seeded eucalyptus complete this ode to Fall.